Cycling - Tour de France cycling race - The 184.5 km (114.6 miles) Stage 17 from Berne to Finhaut-Emosson, Switzerland. 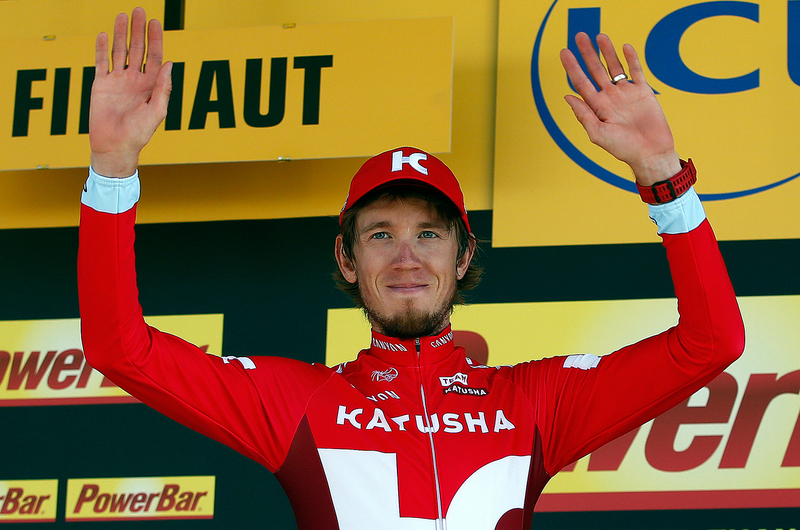 Russian rider Ilnur Zakarin from Team Katusha raced on July 20 to his first career victory at a stage of the prestigious Tour de France competition. The 26-year-old Russian finished the 17th stage of the tournament, which ends on July 24, in Paris, in the first place leaving behind the rest of 180 riders. He finished the 184.5 km (114.6 miles) distance in Switzerland, from Berne to Finhaut-Emosson, in 4 hours 36.33 minutes. "I did my best today," Zakarin was quoted by the tournament’s official website as saying after the race. "I'm really happy now." "Thank you to my team-mates, they've been super," he said. "This result is not a surprise for me. In the first week, I also tried to go for it." Columbia’s Jarlinson Pantano from team Iam Cycling finished the distance in the second place (+55 seconds) and Poland’s Rafal Majka from team Tinkoff finished in the third place (+1.26 minute).